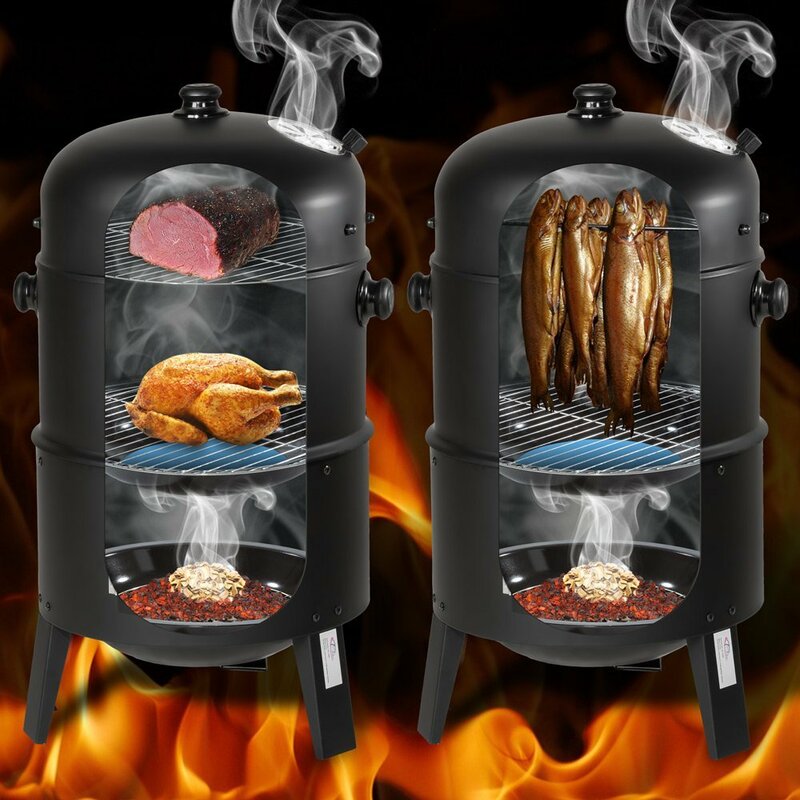 Over the last few years, we’ve seen a rapid increase in the number of barbecuers getting into meat smoking, not just for impressing family and friends, but for competing in one of the many BBQ competitions held around Australia. Yes, you read correctly. There is such a thing called a BBQ competition! 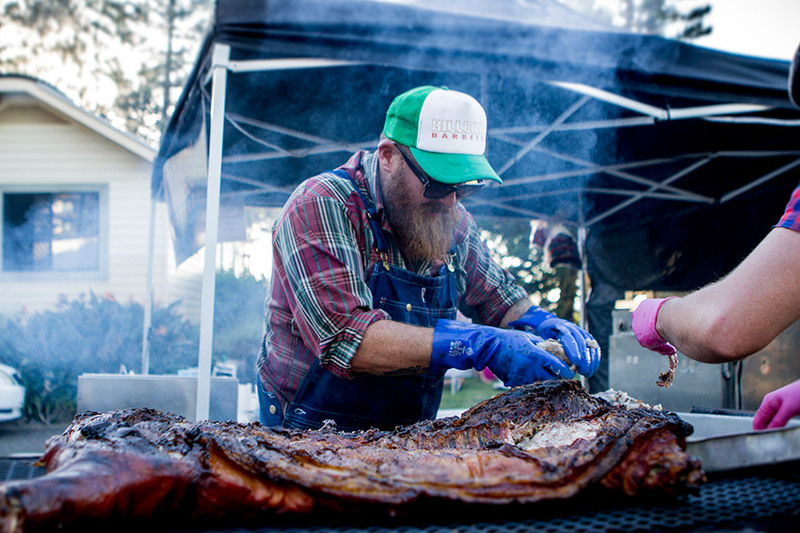 In fact, there were almost 30 BBQ competitions held around Australia in the last 12 months, with that number set to increase as more people catch onto this fast growing sport. After all, what sport suits the Australian male better than spending the weekend meat smoking over fire, sitting drinking copious amounts of beer, participating in some friendly banter and sampling the food along the way. 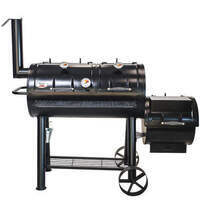 There are dozens of different types of meat smokers available in the Australian market, so if you’re confused about what the differences are, check out one of my previous posts What Meat Smoker To Buy which highlights the differences between all the options and gives the pros and cons of each. 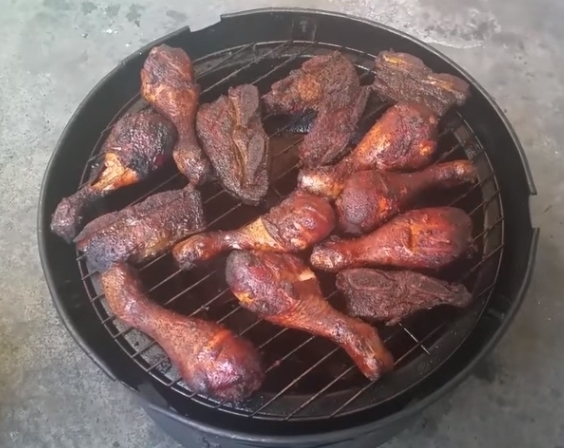 If meat smoking sounds like something you’d like to give a crack at, but your current idea of barbecuing is turning the gas on your BBQ and flipping some burgers, continue reading. 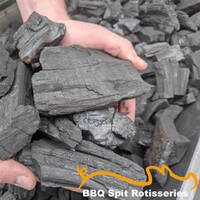 Add 2kgs of natural charcoal (not briquettes) to your smoker and light. 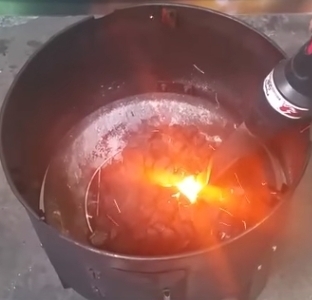 The easiest way to light the charcoal is by using the Flaming Coals Charcoal Starter Wand. 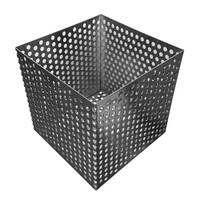 Even if you’ve never cooked with charcoal before, you’ll be able to get the charcoal lit by using one of these. It first lets off a spark to ignite the charcoal and then it pumps a whole heap of hot air to fuel the spark. 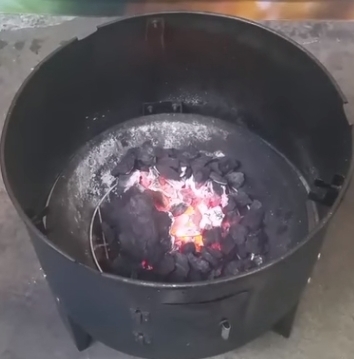 After a few minutes, almost like magic, your charcoal is lit. 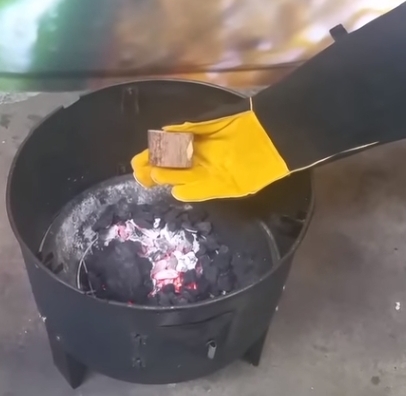 Next you add some wood chunks to the charcoal to get the smoke. Remember that charcoal is damn hot so wear gloves anytime you’re adding wood chunks or topping up your charcoal….otherwise you’ll end up with barbecued arm hairs! Initially, add 2 small wood chunks around 5cm cubed. 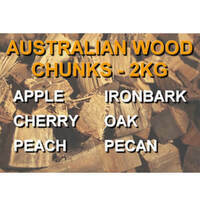 Make sure you use untreated chunks and never use treated pine. 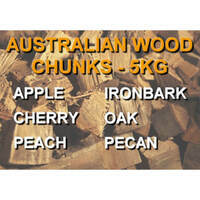 If you're unsure of what wood to use, our previous post Types of Wood for BBQ Smokers will help narrow it down. If you’re using anything other than an offset smoker, fill the water pan with hot water to help keep your meat moist and regulate the temperature. 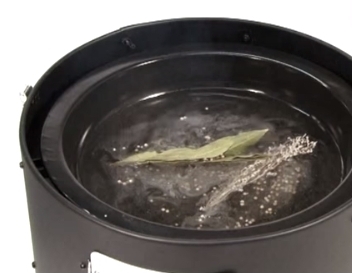 If you want to be adventurous, you can add wine, apple juice, herbs and spices to the water bowl. Once the charcoal is burning, the wood chunks are smoking and the water pan is full, it is time to add the meat to the smoker. Ideally, the meat would have been marinaded overnight and taken out of the fridge about 1 hour before adding it to the meat smoker. 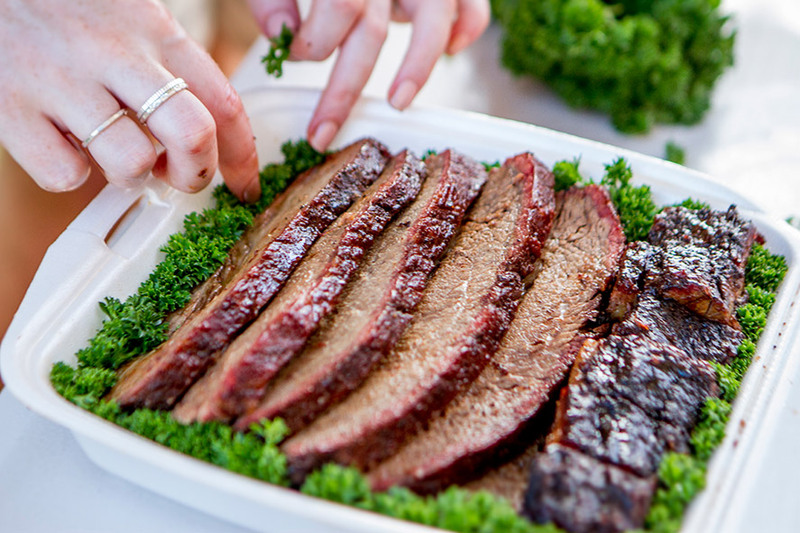 Any type of meat is suitable to be smoked, including common cuts such as brisket, ribs, shoulders, legs, chicken wings or fish. We have a heap of recipes in our Learning and Support Centre. temperature probe to measure the internal temperature of the meat. Keeping an eye on the internal temperature of the meat will let you know whether the meat is cooked or not. Obviously the longer it takes you to reach the desired internal temperature the better. 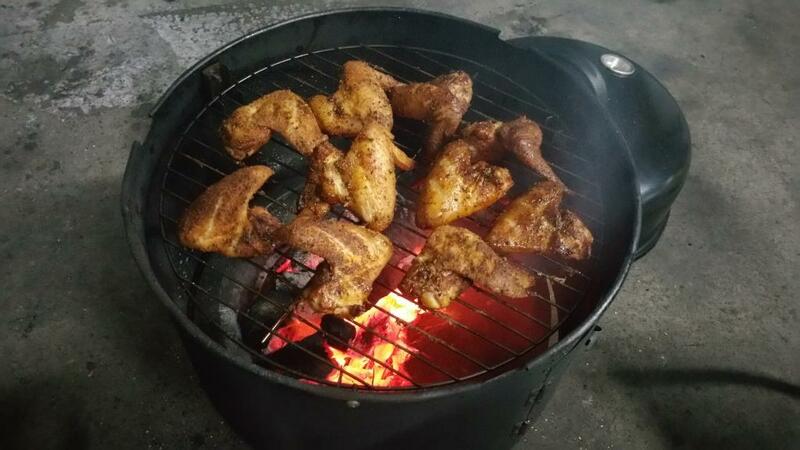 After about 1 hour, you will find that the wood chunks have stopped smoking and you will need to add another couple. The charcoal should still be going strong so unless the temperature on the meat smoker suggests that the temperature is decreasing, there’s no need to add charcoal that this time. After another hour (2 hours cooking time in total), you will probably need to top up the charcoal. 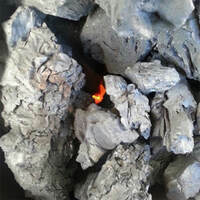 Simply throw some cold charcoal onto the burning coals and it will gradually light. Add another 1 wood chunk to keep the smoke going for a little longer. Meat typically absorbs most of its smoky flavour in the first 2-3 hours so after this 5th chunk stops smoking, I personally wouldn’t add any more wood chunks to the fire. Of course it depends on personal preference how smokey you like your meat and what wood you’re using, but I find 5 chunks spread out over 2-3 hours to be enough. 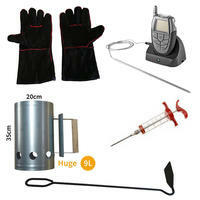 Over the duration of the cook, continue monitoring the temperature of the smoker and top up the charcoal as necessary. Top up the water pan with hot water to ensure the water pan doesn’t run dry. Regularly check the internal temperature of the meat so you know when it’s ready to be removed from the meat smoker. Sometimes your meat will “stall” and you’ll need to give it a helping hand. Stalling is when the internal temperature gets stuck at around 80 degrees and won’t climb any further. Depending on what meat you are smoking, you may be happy with this. 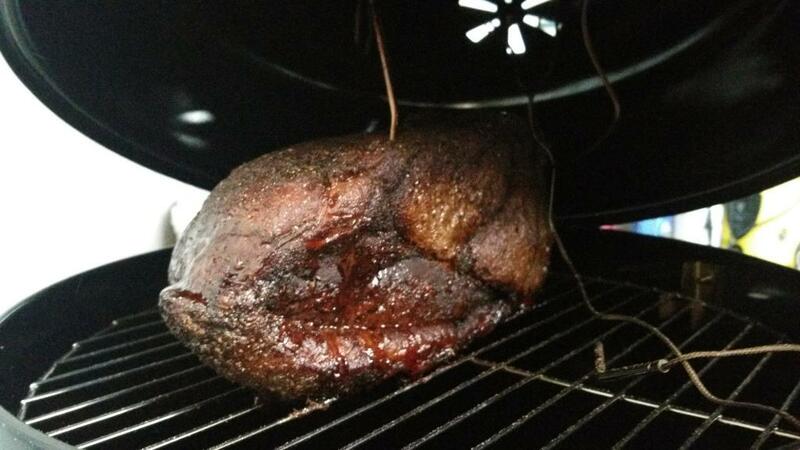 (For brisket and pork, I personally like to get the internal temperature up to 93 degrees.) To overcome the stall, remove the meat from the meat smoker, wrap it in aluminium foil and then return it to the smoker. Wrapping the meat will help raise the internal temperature and overcome the stall. Once the meat has reached the desired internal temperature, remove the meat from the smoker, wrap in a towel and allow to rest for 1 hour before serving. 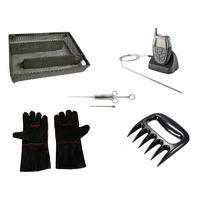 Want to take your barbecuing to the next level? Why not consider attending one of our BBQ Masterclasses It's an action packed day including all you can eat BBQ.